The Lincoln Continental is a well-recognized machine for its elegant yet simplistic styling. 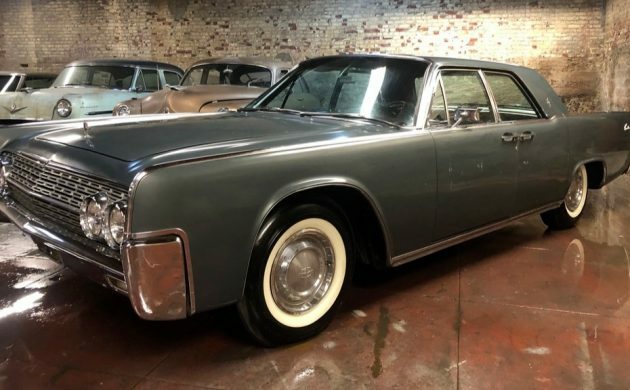 Thought to have been stored for 50 years in a 300 car collection, this Lincoln is a sharp machine with only a few minor concerns to reflect its true age. 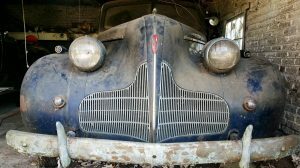 This native Californian survivor is offered for the buy it now of $25,000. Look it over here on eBay out of Oakland, California. 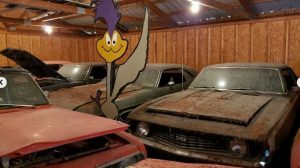 The 430 cubic inch V8 runs very well, and the twin range Turbo 3 speed transmission was rebuilt before this Lincoln was stored away for 50 years. 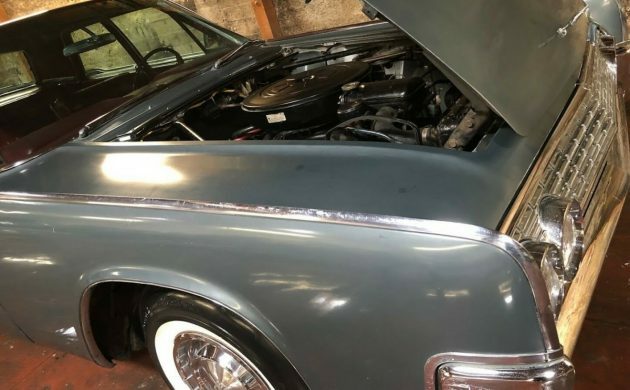 Claimed to be a smooth yet competent driver, this Lincoln recently received a new fuel pump. 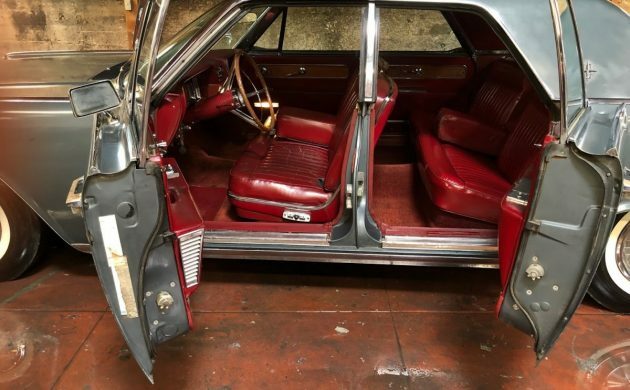 With a great color contrast from the exterior to the interior, this Lincoln is in very reasonable shape inside. There are cracks in the leather up front, but there is no severe damage. Some of the finish of the inlaid wood has started to chip off, and the carpet suffers from some fade. Otherwise the interior is quite nice. The paint has a wonderful appeal from a distance, but there is some orange peal, and a few small areas to make note of. The driver side has 3 small dings where the paint has been chipped off. The passenger side is missing its lower rocker trim, and there are a few gashes along the lower body as well. The first minor gash can be seen on the front fender on the front side of the wheel arch. The next one is on the dog leg of the front fender. 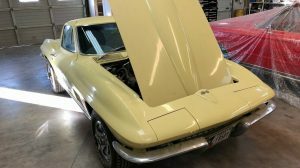 Then there are a few along the rocker panel, lower portion of both doors, into the front side of the rear wheel arch, and finally into the quarter. While all of this damage is somewhat subtle, it becomes blatantly obvious once noticed. The stainless and chrome is in mediocre shape considering the way the car has been stored. The stainless trim has a lot of wear, scuffs, and swirls marks from what I would guess to have been aggressive polishing. Otherwise, this Lincoln is relatively clean and complete. 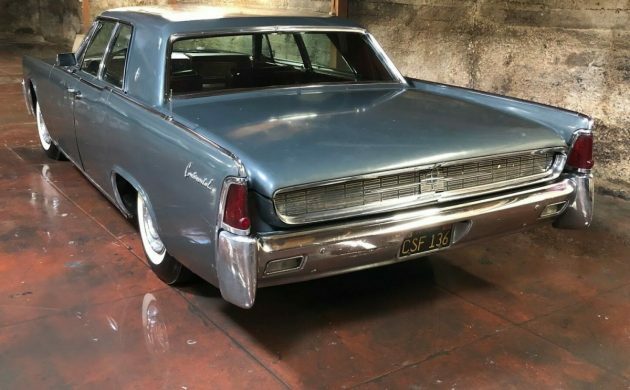 Would you roll the dice on this Lincoln? Love these Lincolns, but is seems like a lot of money for its condition to me. I have been told I was crazy before! Elegant for sure. Symplistic? Try again. Yes, wrong word. ‘Simple’ Would have been better. Had a ’63 in ’75 or so. drove it across the country with some pals. We had a hard time coming up with the seven bucks or so to fill it up each time! Then there was the hitch-hiking native woman who had an epileptic fit in the back seat……and on and on. I paid $750 .00 for it and it was perfect with a front hump mounted Craig tape deck! They are beautiful cars in and out. I think it was an Elwood Engel design, no? 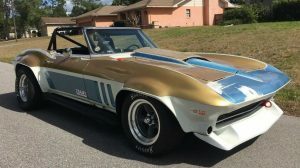 As of 2/17 the ebay listing is gone and I refuse to believe that anyone would pay $25k for that car. I’ve been a big fan of the 61-63 Engel Lincolns for 40 years. The 61s with their front end styling are my favorites but the addition of the 4bbl carb setup and increased option availability of the 62s and 63s works for me as well. The exhaust system has been damaged by driving over something and parts of it are missing. That side panel damage is not going to be easy to fix because access to those areas from the inside is tough and that metal is THICK! Despite this car wearing them the wide whitewalls were, for better or worse, gone for 62. Maybe these tires came off the same 61 that donated the wheelcovers. I understand that a seller wants to present his offering favorably but applying a gallon of ArmorAll to everything sure doesn’t work for me. This thing might be a good starting point at half the asking and then you put almost that much into it again to bring it up to snuff.